Other Hobbies/How do you recharge? Pet Peeve: People that don’t move down inside the carriage and don’t use all available space. 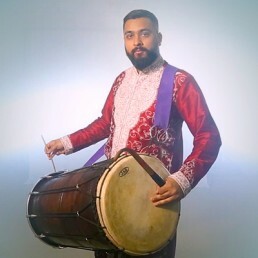 R’n’B is a platform that has launched our dhol careers and has taken us places around the world and given us the opportunity to see things which we normally would have never seen. Performing with my closest friends. There are quite a few, but those that really stand out are when we put stars in the eyes of kid’s. Often we get kid’s hanging around near us after we have finished a performance but are too shy to talk to us. We usually try to give them an opportunity to strike the drums with the sticks and this makes them really happy. When I was 3 or 4, we had a computer, but as I was the younger brother, I never got to use it as my older brother would always muscle in. One day I managed to get there first and because I didn’t want to give up my space, I had to pee my pants while sitting at the computer so my brother wouldn’t take over. Worth it. 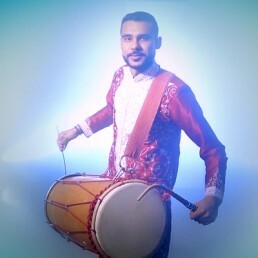 How did you get into playing the dhol? 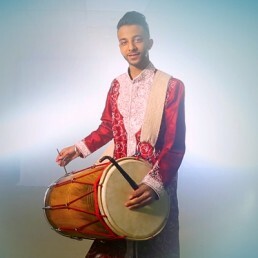 It all began in 2003, my school friends and I wanted to perform at the schools international evening and thought it would be a good idea to play Dhol. 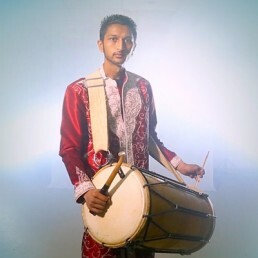 So we went to Southall and got ourselves some drums and experimented. 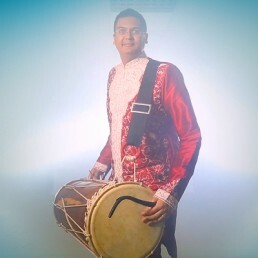 After this I began learning properly at Dhol2Dhol where I met the rest of the Rhythm ‘N’ Bass drummers. 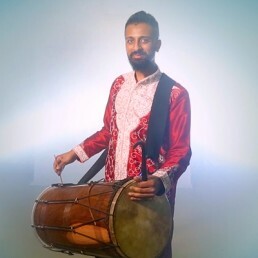 What has been your best dhol gig to date? Adnan Sami Concert at Wembley Arena 2012 – Performed alongside Harshdeep Kaur and Harpreet Deol. Initially the plan was to perform to one song with Harshdeep in the second half of the show. Whilst watching the 1st half of the show from backstage, without any warning, we were called onto stage. We ran to our dressing room, threw our suits on, tightened our drums and ran on stage. Diwali on The Square 2009/2010, London Mela 2009, City Sikhs Social at Yager Bar, Wedding in Morocco, New Years Day Parade 2009. Adnan Sami Concert Wembley/Leicester 2012, Shreya Ghoshal European Tour 2013.